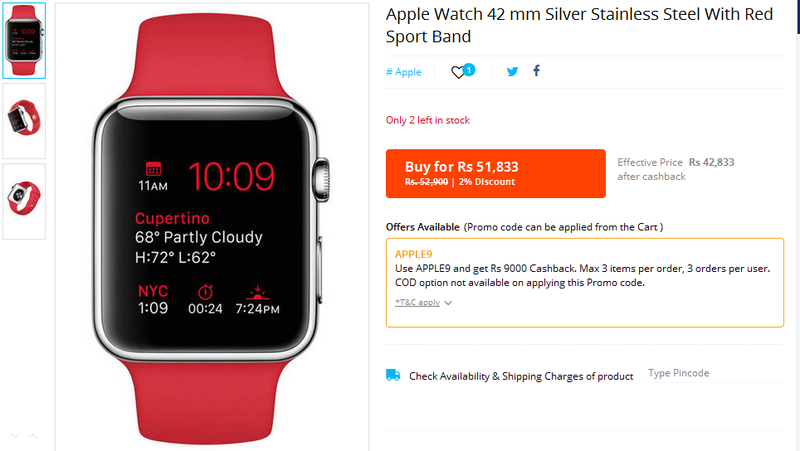 Launched at starting price of Rs 30,900 in November 2015 [Indian launch] the Apple Watch gets its first cashback offer. 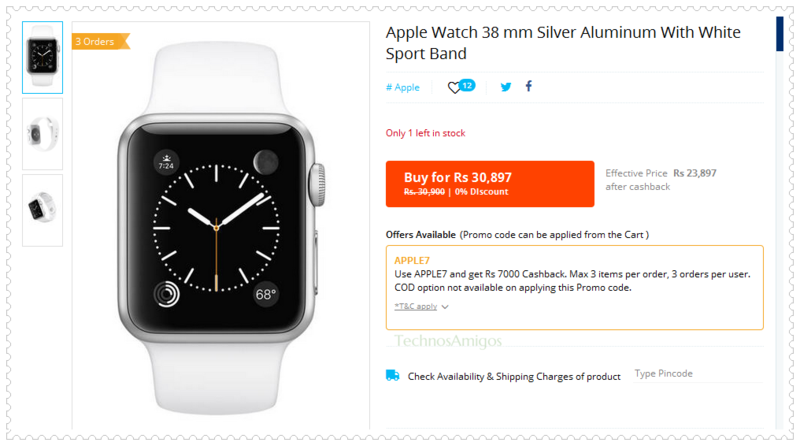 PayTM is offering limited period cashback of Rs 9,000 on Apple Watch on 42 mm and up to Rs 7000 on 38 mm Apple Watch Sport Band. If you desire to own one such of it, it’s the right time to buy it. PayTM is known in providing such offers from time to time. They have exclusive offers right now providing Rs 10,000 cashback on iPhone 6S smartphone sale. So are you looking forward to purchase Apple Watch right now.